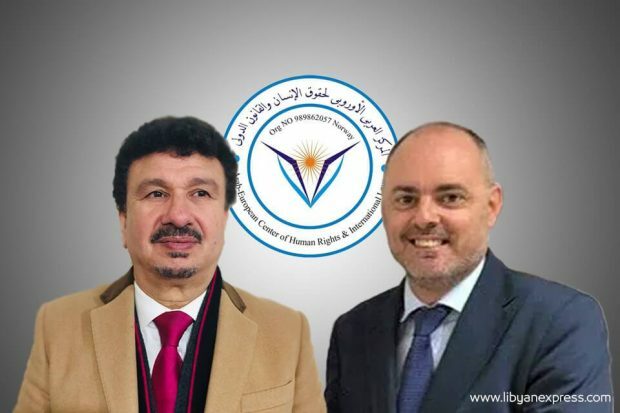 The Secretary General-designate of the Arab-European Center for Human Rights and International Law, Dr. Ramadan Benzeer, met Saturday in Tripoli with the Head of the European Union’s Delegation to Libya, Alan Bugeja, and the Head of Political Affairs Office of the delegation. The meeting took place in the presence of several civil societies in Libya, where they discussed issues related to the political deadlock, human trafficking, illegal immigration and other matters. According to the Secretary General-designate of the Arab-European Center for Human Rights and International Law’s statement, the meeting paid special attention to the human rights violations happening in Libya. Dr Benzeer told the EU officials of the vital role the EU should play to bring all Libyan parties together around dialogue to resolve the crisis and to support elections, in addition to speeding up the holding of the Libyan National Conference.